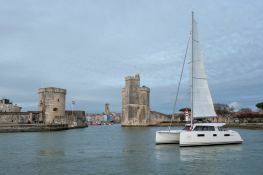 The Nautitech 40 Open is for rental from the south of France and is a catamaran designed for family navigation. Whether along the French Riviera between Cannes, Nice, Monaco or St Tropez and to Corsica, this yacht will give you many satisfaction. 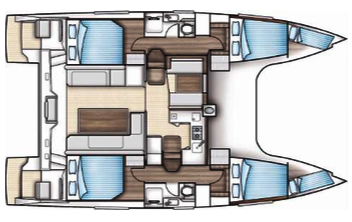 Situated in Saint Raphael, French Riviera, this catamaran Nautitech 40 Open (2 single and 4 double cabins), built in 2016 by Nautitech Catamaran, is capable of hosting up to 10 pax. 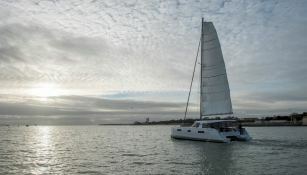 Further more, and for a better bareboat catamaran charter experience, the Nautitech 40 Open is equipped with electronic on board, equipped galley, solar panels and also CD.